Wiesenthal Center denounced anti-Semitic rhetoric of Prof. Galtung, who blamed Jews for Holocaust, linked mass murderer to Mossad. The Simon Wiesenthal Center denounced the anti-Semitic diatribes of Professor Johan Galtung, a respected Norwegian academic who linked mass murderer Anders Behring Breivik to the Mossad, recommended the infamous Protocols of the Elders of Zion and claimed that Jewish achievements in Germany led to the Nazi Holocaust. Galtung has claimed that Jews control the media, academia and deserve the anti-Semitic onslaughts to which they are subjected. “The anti-Semitic ravings of Professor Galtung, known as ‘the father of peace studies’, disqualify him from being considered as a respectable participant in any field of study, especially one that deals with peace,” asserted Rabbi Abraham Cooper, the Wiesenthal Center’s associate dean and Mark Weitzman, the Center’s Director of Government Affairs. “His promotion of hate-filled canards such as The Protocols of Zion demonstrates that he cannot distinguish between reality and fantasy,” they added. 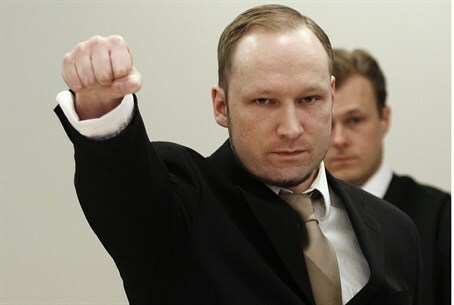 “We hope that Norwegian academia, the media and the rest of Norwegian society will repudiate these pernicious stereotypes,” the Wiesenthal Center officials added. “The next book that Professor Galtung should be required to read is Dismantling the Big Lie: the Protocols of the Elders of Zion which is the first full length refutation of theProtocols. It might actually inject a dose of historical reality into the anti-Semitic conspiratorial theories that dominate his world view,” they concluded.